Now back at home after an enjoyable week with the older boys. Washing still in piles and sand still in the car. So rather than tidying up I’m messing with photographs. Before I finish the Whitby pages here are two quite successful images from our last day. The tide on Saturday morning was very low and we could walk a long way out on the south beach. The image above is a wide angle shot across the slate flats. 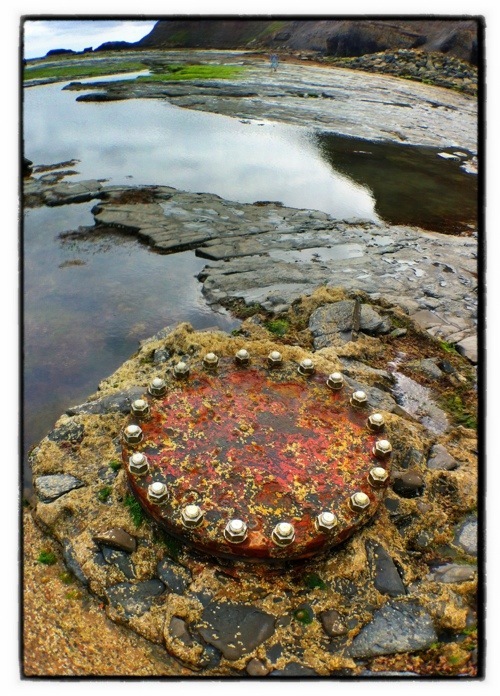 We found lots of Ammonite fossils and shell fish in the rock pools and the view was impressive. Below is a view looking in from the south harbour beach into the town. This one has max grunge applied. The HDR gave a ghost across the roof tops on this. 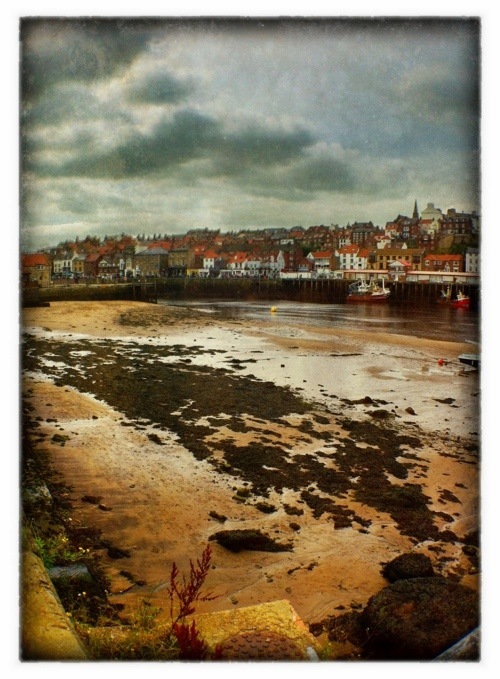 There are more Hipstamatic versions going onto the Whitby page later. Just a quick one. This is taken just outside our holiday cottage on Church Lane in Whitby. An old steel body boat that has turned up today at the boatyard. 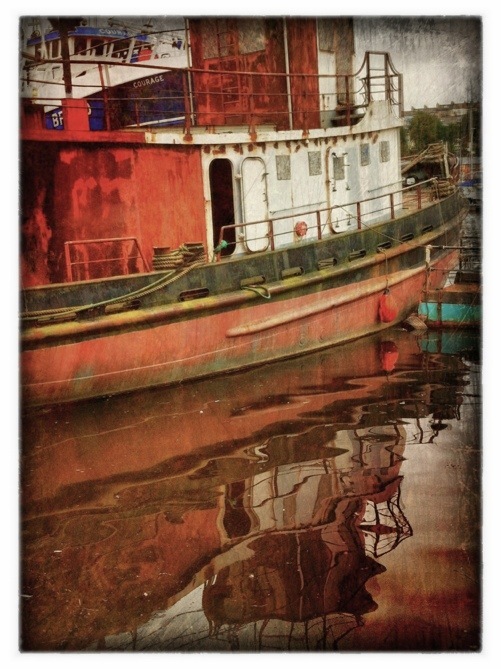 Got me humming the River Boat Song from Ocean Colour Scene. Now head over to the Whitby Road Trip page for some more pictures. Inspired by a recent image from the always ahead of the curve Rubicorno I got the HDR Pro app. It wasn’t the best of weather days yesterday but with occasional blades of sun in-between the showers I took a reluctant GBoy8.05 to Greens Windmill in Snienton. 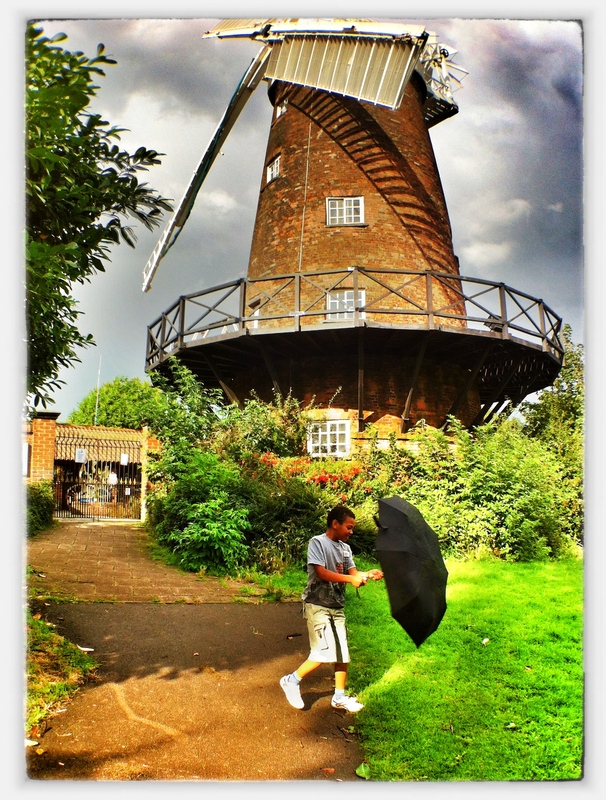 Whilst he did his best Gene Kelly I had a play with the app. It is more flexible than the HDR in iOS and whilst slow it works well with a steady hand. This was also shot with Olloclip wide angle and has been cropped and framed in Snapseed. One of the main instructions for HDR Pro is hold the camera still, it takes a second or two to change the exposure so this makes sense. It makes equal sense to exploit this delay. The following are from a quick Sunday afternoon walk in the park. First two are DBoy5.05 chasing himself on this scooter. The last is a rotation on a landscape shot. 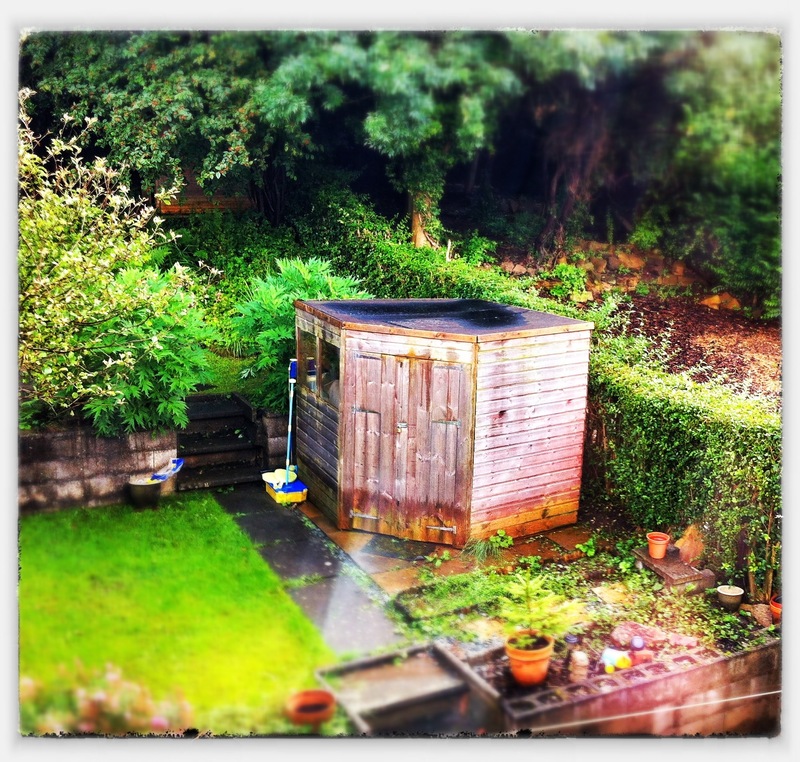 All are variously edited using Snapseed, Dynamic Light, TiltShift & PhotoToaster.